The path to my happiness is paved with warm, crispy-edged, fluffy-centered russets. And while I am on the super-convenient subject of things being paved with potatoes, have you ever heard of a dish that’s literally named Potato Pave? 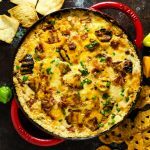 It’s chef Thomas Keller’s spin on scalloped potatoes, and it’s named after– quite obviously– paving stones, because of the look the layered potatoes create. 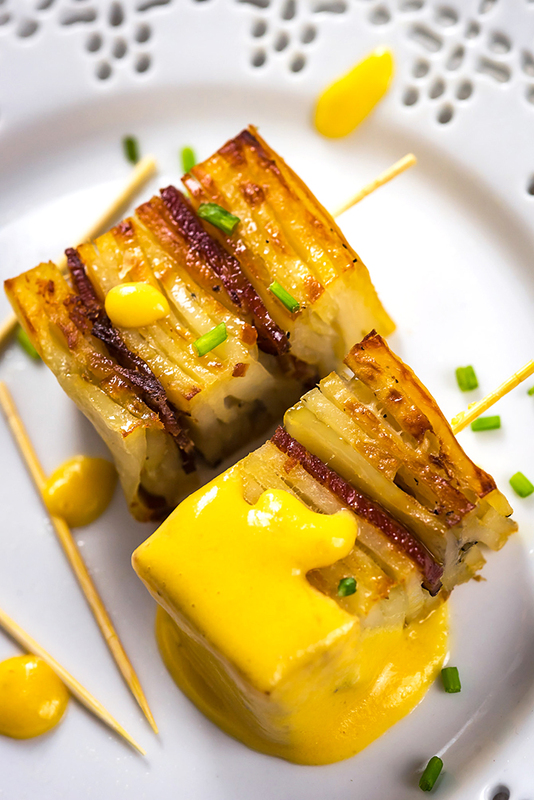 What you’re getting when you try Potato Pave is essentially a super crisp exterior with almost thick-potato-chip-esque slivers all up and down the sides as a result of thinly slicing and layering cream-soaked potatoes. That cream also helps to bind together the potatoes so the centers are melt-in-your-mouth creamy. It’s dreamy. * Side note: I got the DNA results back that I mentioned a few weeks back in anticipation of St. Patrick’s Day. I am… far less Irish than I thought I was. But it’s still there… All 5-10%, or so. 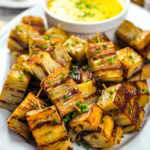 This is a party version of the Potatoes Pave, which involves cutting the layered potatoes into small squares and skewering with toothpicks to be perfectly finger-food sized. They also seemed perfectly dippable at this size, so I used the reserved cream from the potatoes to make a super easy cheese sauce. The potato starches that have soaked into the cream actually help the cheese sauce to thicken slightly, which makes for a much better dip. 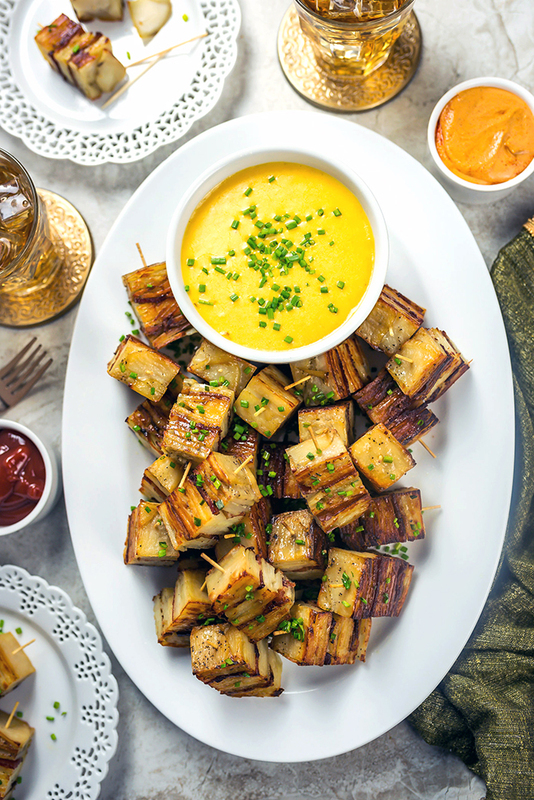 “Party Potato Pave Bites with Cheese Sauce” sounds like a title of a recipe that would require, like, ten thousand ingredients. 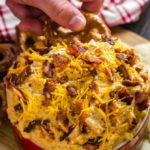 But all you need to make these is FIVE ingredients– potatoes, cream, bacon, and chives. Oh, and salt and pepper, if you want include those in the ingredients list. They also are pretty easy to make thanks to a little (okay a lot) of help from my PL8 mandoline. I have to highly recommend this thing if you don’t already have a mandoline at home, or even if you do. It saves me so much time in the kitchen because my knife skills are… well, not the most impressive. 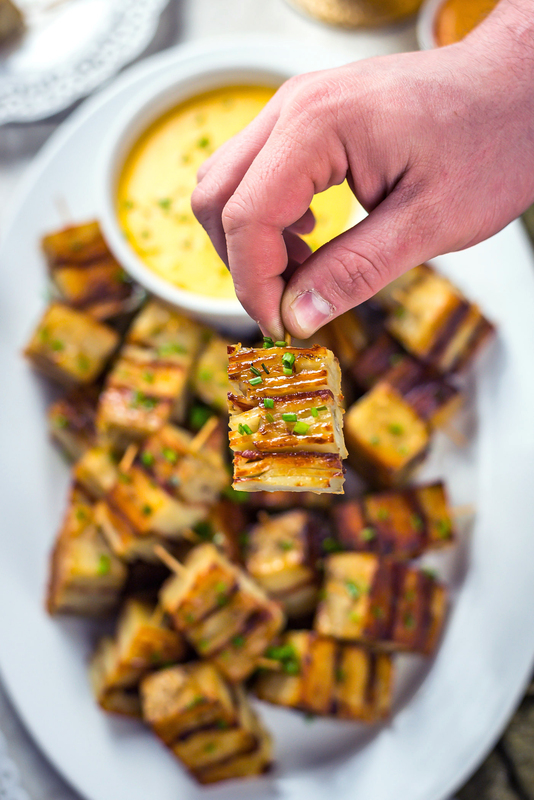 The Party Potato Pave Bites with Cheese Sauce do have to refrigerate overnight though, so even though they’re easy, they require some planning in advance. It’s well worth the effort, I promise! Just look at that cheese-covered stack of crisp potatoes and you’ll know I’m telling the truth. Peel the potatoes and use a mandoline to thinly slice them, lengthwise, into a large bowl. Add in the salt, pepper, and heavy cream, and gently stir until all of the potatoes have been coated in cream. Fold the parchment paper inward and cover with aluminum foil. 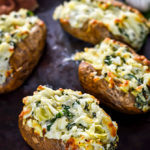 Bake for 90 minutes, or until the potatoes can easily be pierced with a knife. 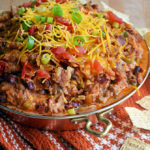 Weigh down the top of the potatoes with another baking dish filled with cans, two bricks, or any heavy object that can evenly fit over the top. The heavier, the better. Refrigerate for 6 hours or overnight. The next day, preheat oven to 425˚F. Turn the potatoes out onto a large cutting board. Use a large knife to trim the edges. 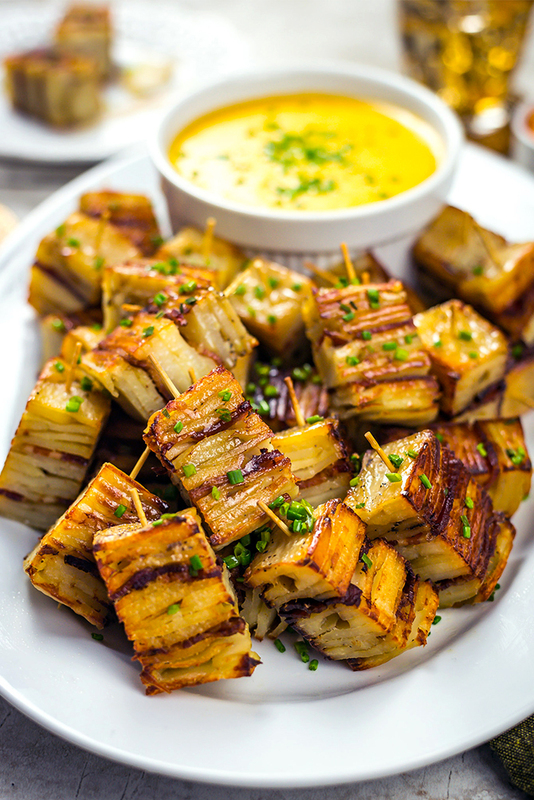 Cut the potatoes into small squares and skewer with toothpicks. Transfer each skewer to a nonstick or greased baking sheet, laying them on their sides. Bake in preheated oven until lightly golden, about 15 minutes. Carefully flip them and bake until crispy and browned, another 15 minutes. Season with additional salt once they’ve come out of the oven, if necessary. Allow to cool for 10 minutes. Meanwhile, heat the reserved heavy cream in a small pot over medium heat. Mix in a handful of cheese at a time, stirring until fully melted, and continue until the cheese has reached your desired consistency. Keep warm over low heat, stirring occasionally, until ready to serve. 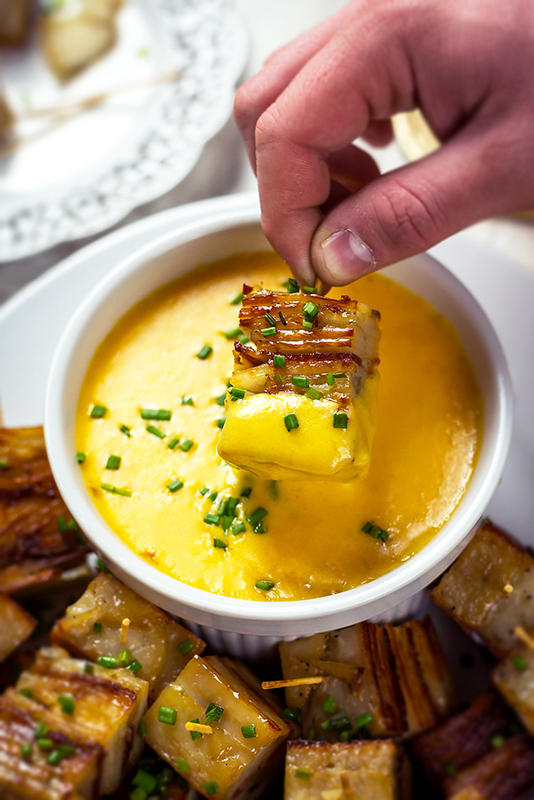 Transfer the cheese sauce to a bowl for dipping along with the potato pave bites. Sprinkle with chopped chives and serve immediately. The Inca Indians in Peru were the first to cultivate potatoes around 8,000 BC to 5,000 B.C. 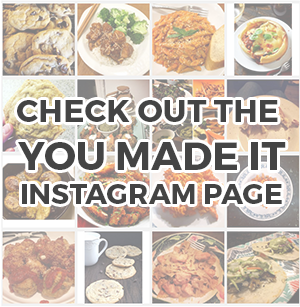 In 1536 Spanish Conquistadors conquered Peru, discovered the flavors of the potato, and carried them to Europe. Before the end of the sixteenth century, families of Basque sailors began to cultivate potatoes along the Biscay coast of northern Spain. Sir Walter Raleigh introduced potatoes to Ireland in 1589 on the 40,000 acres of land near Cork. It took nearly four decades for the potato to spread to the rest of Europe. So your love of potatoes may be from some other ancestry then your Irish. Still, they are a lovely food! I’m so glad to hear it, Stella!! Morgan I’m getting ready to make this but the amounts seem off. Five pounds of potatoes and two pounds of bacon in an 8 x 8 pan. Seems like it should be two 8 x 8 pans. I’m a loyal fan and lover of your recipes but I’m questioning this one.